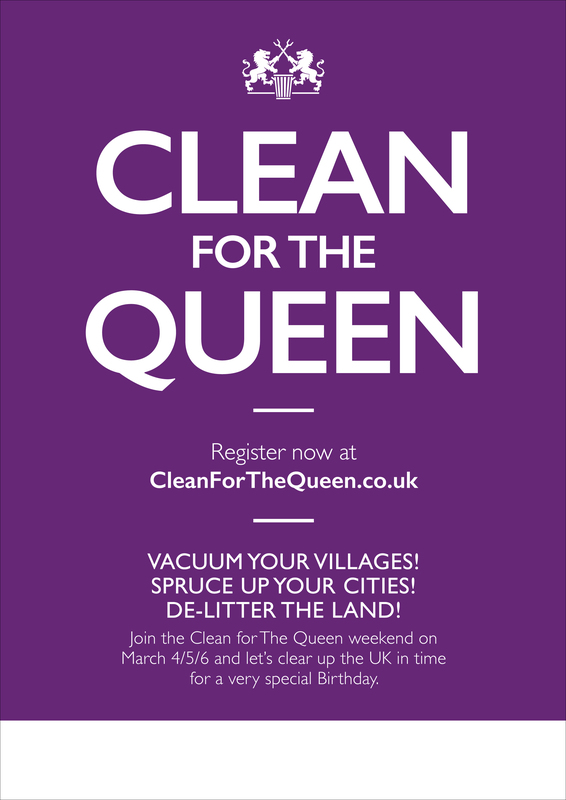 ‘Clean for the Queen’ and Help keep our village litter free by joining the annual spring clean for HM 90th birthday! On Saturday 5 March the Parish Council is assisting Cherwell DC in organising the annual village litter pick. This year Cherwell are trying to make a special effort to mark the Queen’s 90th birthday. Volunteers are sought to meet at 10.00 am on the 5th outside the Old Post Office. Cherwell are providing plastic sacks and litter pickers, as well as protective gloves and high vis tabards. Please give up an hour to help keep Horley beautiful! This entry was posted in Posts by Parish Council and tagged clean for the queen, Horley, Litter Pick, Parish Council, queen's 90th birthday, Spring clean, volunteers on March 3, 2016 by thehorleyviews.